Lives are on the line every day at the workplace, which is why it is critical that you ensure your team’s safety long before the work begins. No one understands that better than Certified Slings & Supply®. We partner with leading manufacturers like 3M and BW Technologies by Honeywell to bring you the best products for your team to work safely in confined spaces. 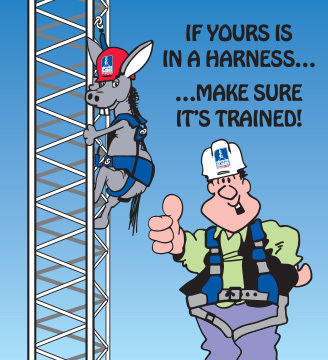 At Certified Slings & Supply®, we don’t just want to provide products: training and support is key to working safely and efficiently. When it comes to protecting your work site, we deliver superior courses in our world-class training facility, based on standard curriculums or customized to your needs. Because if it’s not exactly what you need, then it’s not comprehensive confined space training. All world-class open enrollment training courses are available for on-site instruction. Contact us today at training@nullcertifiedslings.com or by calling 1-800-486-5542.